Marc practices in the field of intellectual property law, with a focus on chemical, pharmaceutical and biotechnology litigation, including, in particular, litigation arising under the Hatch-Waxman Act. Marc’s experience includes advising and advocating for clients at all stages of product development and patent litigation, from providing freedom to operate opinions, through the various forms of discovery, to completion of trial and appeal. Marc also has experience helping clients navigate regulatory requirements imposed by the Food and Drug Administration, including Risk Evaluation and Mitigation Strategies (“REMS”) program requirements arising under the Food and Drug Administration Amendments Act of 2007. 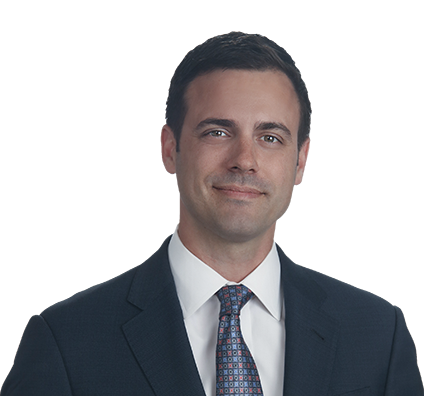 Marc also has experience authoring and otherwise contributing to inter partes review proceedings under the America Invents Act, particularly with regard to patents listed in the FDA publication "Approved Drug Products with Therapeutic Equivalence Evaluations" ("The Orange Book"). Prior to joining Husch Blackwell, Marc practiced at a large Chicago-based intellectual property firm. He also spent time as a research associate in Northwestern University’s Cognitive Neurology and Alzheimer’s Disease Center, studying tau-positive inclusions in frontotemporal lobar degeneration and motor neuron disease-associated dementia. Additionally, he worked as an associate in Federal Signal Corporation’s legal department and taught in the University of Michigan’s Department of Molecular, Cellular and Developmental Biology.